These beautiful and super sleek sound absorbing wall panels add a stylish yet functional touch to any wall. According to a recent article in the Wall Street Journal; 'Airy, Sleek—And Really Loud: Popular Open Floor Plans Can Amplify Sound; New Design Elements Help Restore the Peace', there is a real need for functional yet beautiful sound absorbing wall panels, soundproofing materials and office sound absorbing solutions. Let's face it; the cubicle in the office is a thing of the past. Today's modern office layout includes an open space design were employees can share ideas. And the open floor plans of large loft spaces, modern homes and apartments demands a sound absorbing solution. Trendy open floor plans where rooms aren't separated by walls mean voices carry. Hard surfaces like granite countertops, ceramic tile and hardwood floors can also amplify sound. An area rug, wall-to-wall carpeting or curtains can dampen the sound but can only do so much for those of us who have dogs or cats. "If you have a large room with big windows, a high ceiling and a minimalist kind of look, you're going to have a problem, guaranteed," says Princeton, N.J., architect T. Jeffery Clarke according to the same Wall Street Journal article. He says homeowners and architects are sometimes so focused on the nitty-gritty of a construction project that something intangible, like the acoustics, "often gets ignored". But now there is a solution. 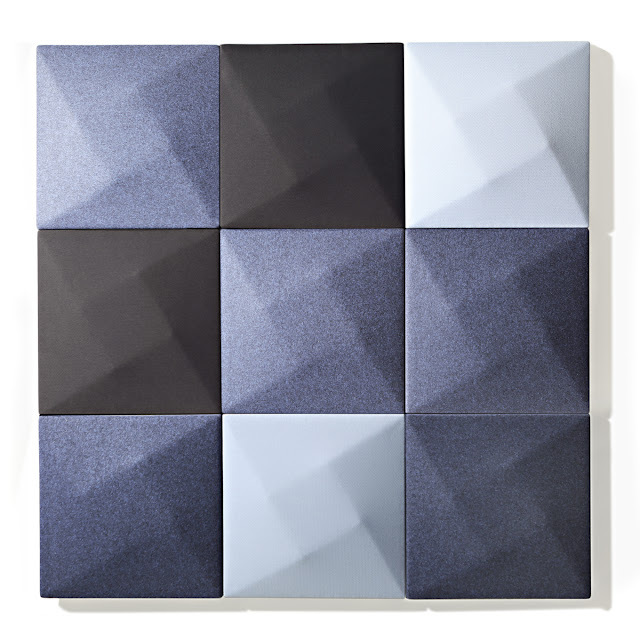 Stardust Modern Design has just introduced their Oktav Sound Absorbing Wall Panels which are made in Sweden and can be custom made in any color. This versatile sound absorbing wall panel (also known in the trade as acoustical wall panels) can be arranged in a composition of your choice. Choose minimal greys for a minimalist Gerrit Rietveld style of appearance, or gentle greens for a calming effect which is easy on the eyes. Orange and red panels add a touch in the manner of Mark Rothko's Orange and Yellow. 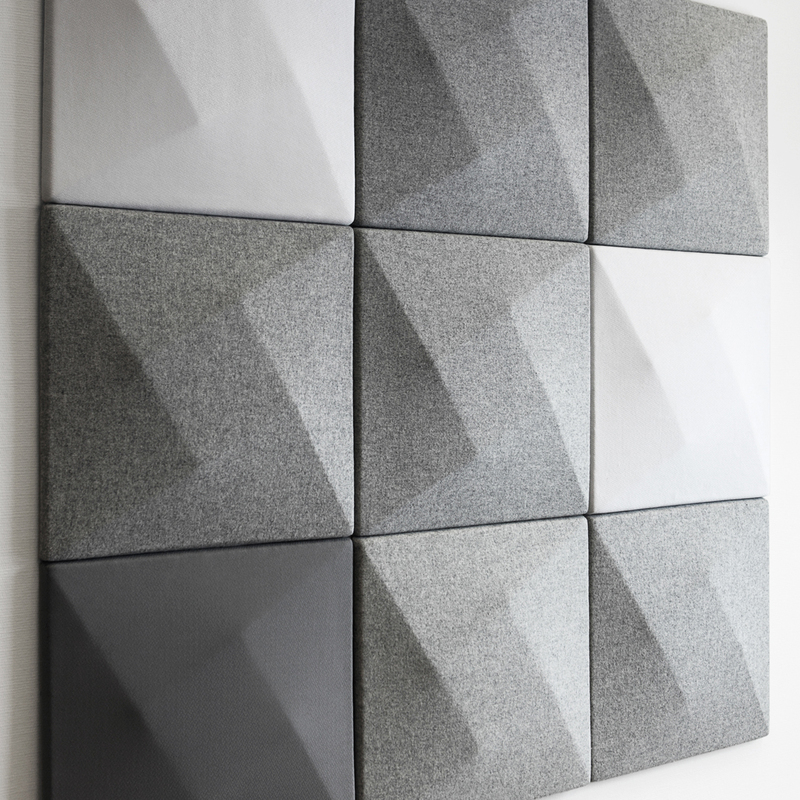 Oktav is both an effective and striking wall-mounted sound absorber. 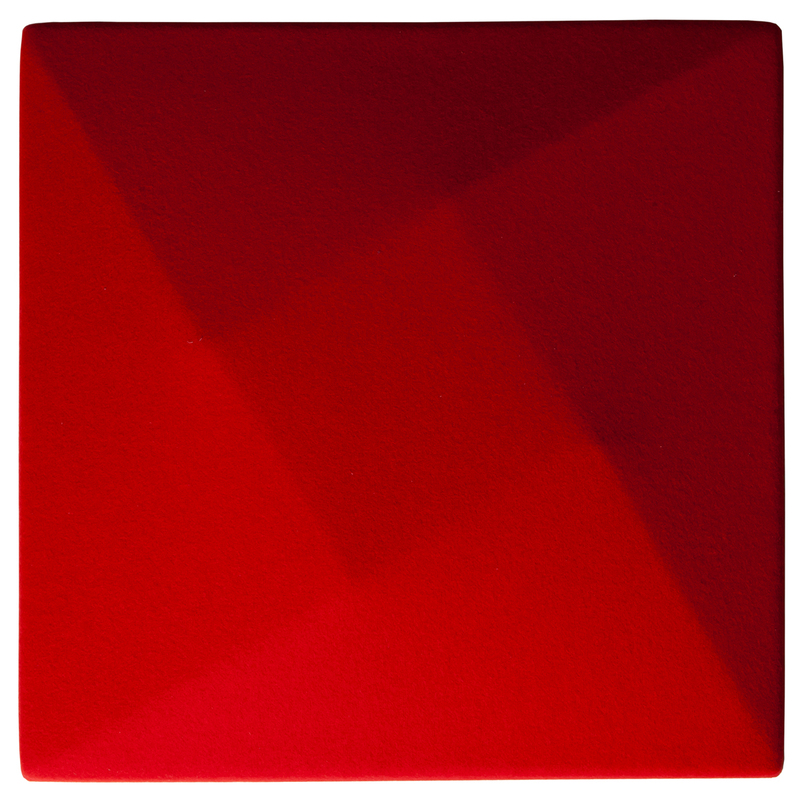 It is not a coincidence that Oktav complies with the highest sound class (A) for sound absorption as its acoustic properties are excellent. 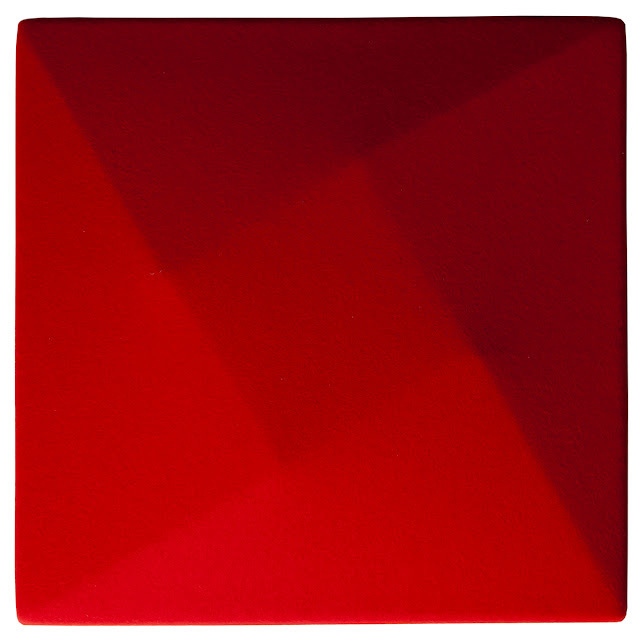 Each sound absorbing panel is light and easily mounts on walls with. 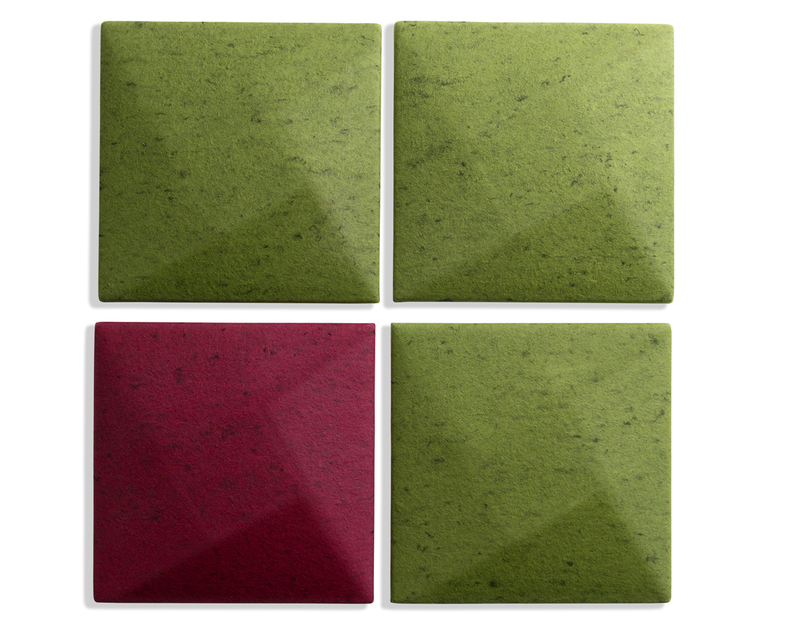 Made with earth friendly recycled materialss; the panels are made with 40% recycled fabric waste, 20% recycled PET bottles and 40% new fabric materials. 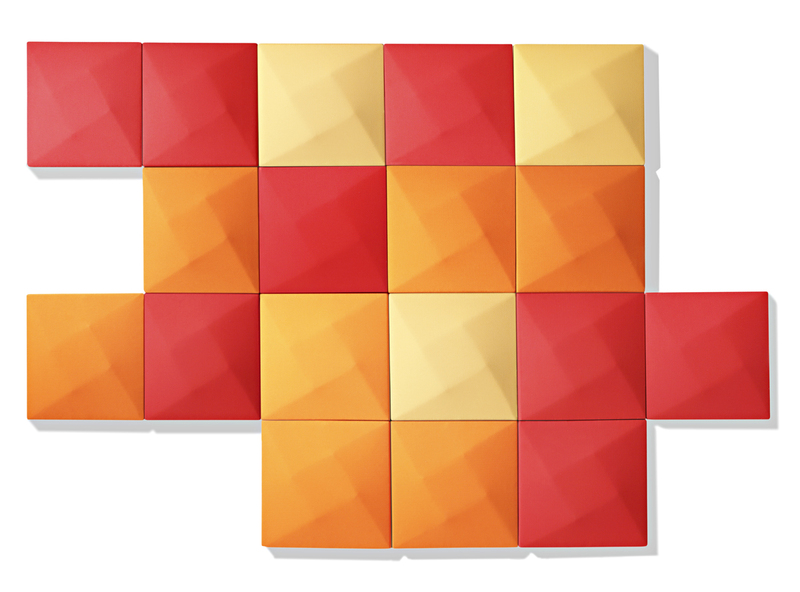 Each panels measures 21.65" x 21.65" (55cm x 55cm). 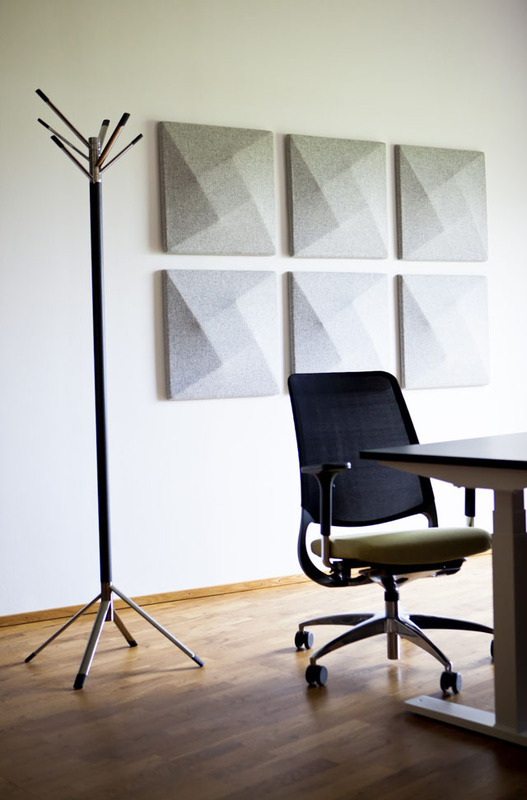 Perfect for sound proofing the minimalist modern home or the office.